Set in Los Angeles. No other plot details have been announced. 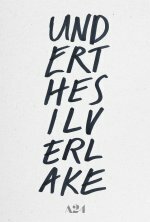 Under the Silver Lake release date was Friday, April 19, 2019. This was a New York / Los Angeles release.